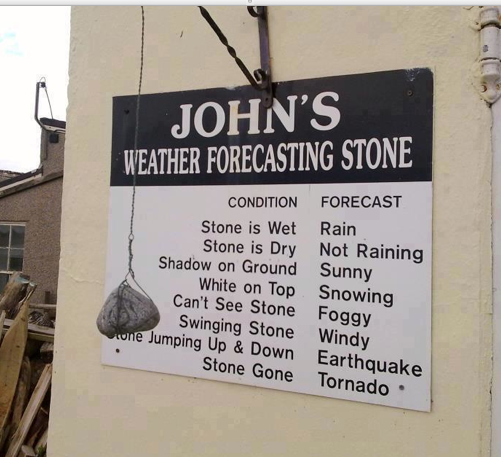 Here’s John’s humorous way for weather forecast! It’s like weather forecast for idiots! Don’t You Love it? Hope you laugh as much as I did! It’s healthy to have a good laugh! It’s healthy to have a sense of humor! This entry was posted in advertisiing, balance, cosmic laws, enlightenment, intelligence, physics, Uncategorized and tagged consciousness, fog, forecast, humor, rain, stone, tornedo, weather, wind on 05/09/2013 by mkirtikarphd.